This topic describes the DHCP spoofing and starvation attacks. "The client collects DHCPOFFER messages over a period of time, selects one DHCPOFFER message from the (possibly many) incoming DHCPOFFER messages (for example, the first DHCPOFFER message or the DHCPOFFER message from the previously used server) and extracts the server address from the 'server identifier' option in the DHCPOFFER message. The time over which the client collects messages and the mechanism used to select one DHCPOFFER are implementation dependent." 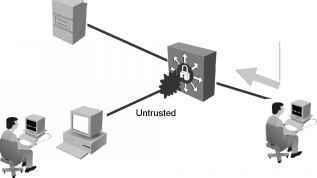 By placing a rogue DHCP server on the network, a network attacker can provide clients with addresses and other network information. Because DHCP responses typically include default gateway and Domain Name System (DNS) server information, network attackers can supply their own system as the default gateway and DNS server resulting in a man-in-the-middle attack. 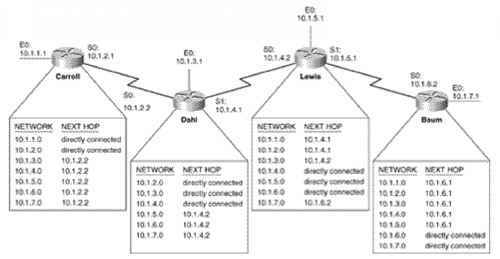 1-38 Securing Networks with Cisco Routers and Switches (SNRS) v2.0 © 2007 Cisco Systems, Inc.
What is dhcp starvation attack?